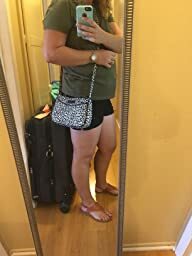 I have several of these bags in different prints and I absolutely love them. 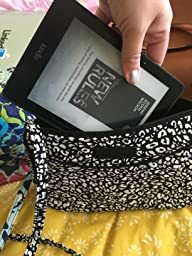 They are able to fit my kindle voyage inside (about 4″x6″) and my small zip id wallet as well as my keys, a travel lotion, a Chapstick, and my phone in the back slip pocket. I have an iPhone 6s. The 6plus probably would not fit in the slip pocket, but it would inside the bag. 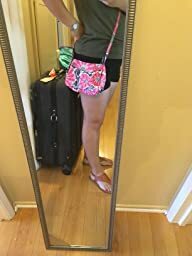 The bag has an adjusatable strap and can be worn with the front out (logo side) or back facing out. 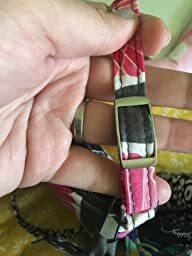 The zipper on top is supreme quality and always runs smoothly with one- hand opening and closing with other hand full. It can stand up on its own as well if packed full. The quality and versitality of these bags is unparalleled. 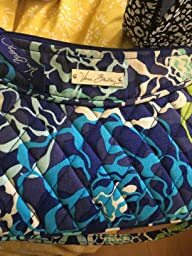 Inside linings on newer bags is a solid complimentary color to outside print, (older bags inside complimentary print)- and they can be washed in the machine! Just take out the inside cardboard (fabric covered) base, and wash, hang to dry so that the bag keeps its shape. 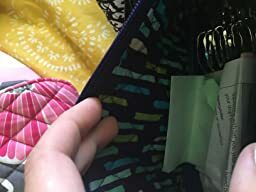 You never want to put a Vera bag in the dryer due to the quilting stitch. The leather trim logos are a nice touch while being descreet as well. 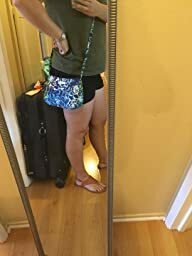 I have a small frame with a short torso (5’4″) and the bag is perfect for me. 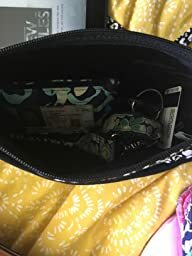 Have been carrying Vera bags for years with no trouble. 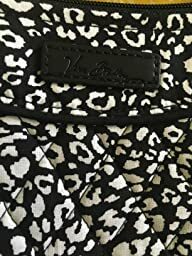 Quality outlasts the prints sometimes. This little bag is great. 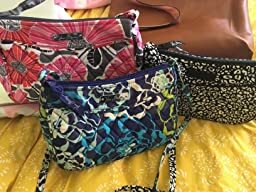 I had been using the Vera Bradley Hipster bag, but was starting to develop shoulder and neck pain from the way it was pulling, so I was looking for a smaller crossbody bag that would be big enough for my phone and wallet but not as much else. 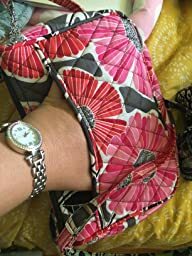 This purse fits my wallet along with a few smaller items (keys, hand sanitizer, a few other odds-and-ends), and the pocket on the front holds my iPhone 5 snugly. 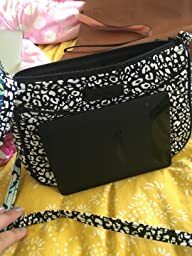 In the Hipster bag, I loved the pocket on the front for easy phone access; the pocket on this purse is, if possible, even better because my phone fits more snugly so it doesn’t fall out of the purse every time I set it down! 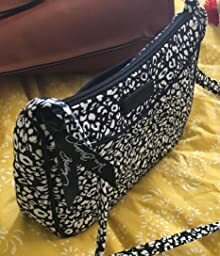 And the whole purse is wearable for long periods of time (walking around a city for hours) without hurting my neck and shoulder. 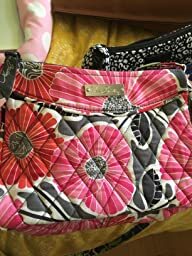 I also love this pattern; it’s one of my favorite Vera Bradley purchases.